Credit to Elucidus4 for starting Ammo Disassembly for A16.4. Have an AK but no 7.62 rounds? Got a pistol but don't want to dirty your gun with steel rounds? Recycle your unwanted rounds into their materials to make new rounds! 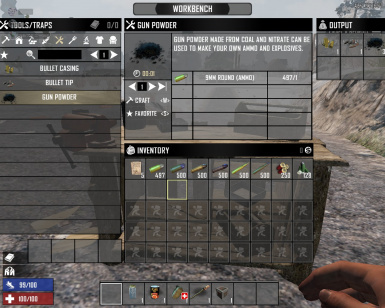 These mods allow you to recycle unwanted ammo to raw materials for bullets but you can only choose one out of the materials to be recycled out of the ammo. Example: Bullet tip, Gun powder or bullet casing. 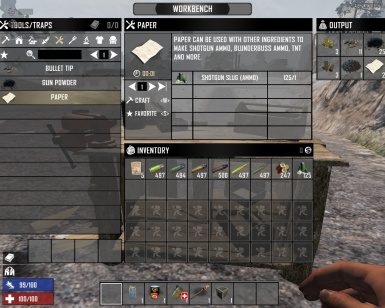 The requirement skill to recycle is none but you do need a workbench to actually recycle your ammo. The ammo you recycle will be exactly the same amount used. Example: 9mm - 1 Bullet tip, 1 Gun powder or 1 bullet casing.